The British Heart Foundation (BHF) has the support of dentists across the country for its planned ‘No Smoking Day’, which is set to occur on March 14th 2014. The charity, which has stopping heart disease as its main aim, wants to encourage people across the UK to stop smoking and prevent others from taking up the habit. The BHF has sent out an appeal to all dentists in the country to use No Smoking Day as an opportunity to use methods such as dental posters to spread the message and encourage their patients to quit. Dental health professionals share the BHF’s goal of getting people to stop smoking, as it is one of the leading causes of mouth cancer and contribute to a variety of other oral health issues. As such, many dentists are signing up to help with the campaign. Dr Tariq Drabu, owner of Langley Dental Practice in Middleton, Manchester, has been vocal with his support of No Smoking Day. He is already fairly well known in dental circles for his excellent work stopping people from smoking. Research shows that around ten million people in the UK smoke, and over six and a half million of those would like to quit, but have so far been unable. 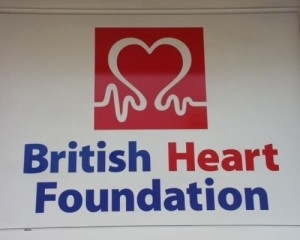 The BHF managed to help one million people quit last year as a result of no smoking day. Dentists are invited to download a promotional organiser’s pack, which contains posters, leaflets and a handbook that will help dental health professionals spread the No Smoking Day message.